Sometimes, we just get on big kicks with certain artists. Lately, both my wife and I have been on a bit of a John Hiatt ride. It had started even before we had the privilege of seeing him live this past summer at Ravinia. His music has just crept up into my life more and more over the past few years to the point of near obsession now, and his new release just felt very timely. Few American songwriters can tell a story in the way that John Hiatt can. In fact, throughout the world, I can only think of people like Richard Thompson and George Harrison to compare him with. His scenes are vivid, his wit is sharp, and his lines are always clean. Even in moments where the songs get a bit heavy, which does happen from time-to-time, the songs never lose those clean lines. The Eclipse Sessions was just released on October 12th, but I was able to get one of the advance copies at the concert. I’ve been enjoying the album for months now. It finds John as a 65-year-old man now. One thing about Hiatt is that he has always seemed timeless to me. This is the first time I’ve heard his age in his voice. In other artists, this is sometimes where we begin to lose interest or let them fade. For Hiatt, it just sounds so good, so right, so appropriate. The album opens with “Cry to Me,” which promises “I’m probably gonna let you down, but I swear I won’t keep you down.” How many of us have felt that same way? Once again, he starts things out by being open and relatable. The song was even more incredible when he performed it live. “All the Way to the River,” the album’s second track, draws you in with its repeating lines and driving acoustic rhythm. By the end of the song, he is practically crying out the chorus as it pounds to an end. Seeing him perform the album’s third track “Aces Up Your Sleeve” solo with an acoustic guitar was a hair-raising treat. Hiatt has always been a master of the heartbreak story, and this one will just pull at your soul. A story of hurt, recovery, and entitlement, the song speaks to me in ways that makes the deep Hiatt fan that I am. From here, the album romps and rolls, but still more acoustically than previous Hiatt releases. By the time it gets to “Over the Hill,” we slip into a groove that makes you want to test your speakers. It needs to be heard loud. The smooth lead guitar that runs the length of the song reminds you that this is still a John Hiatt record. 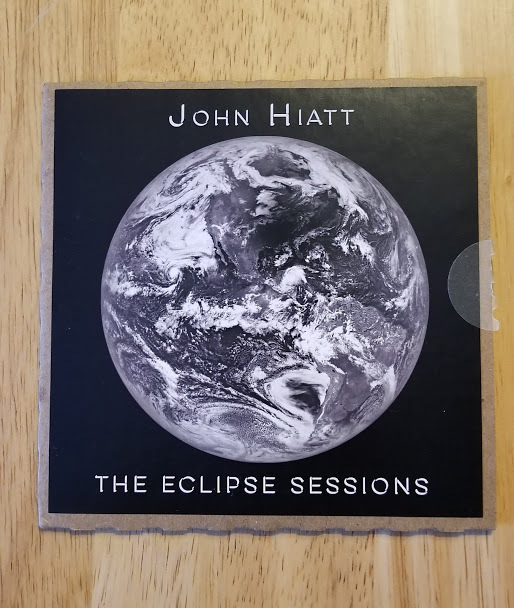 “Outrunning My Soul” shows that Hiatt can still get downright funky. It also demonstrates that he hasn’t lost a thing in that amazing voice of his. 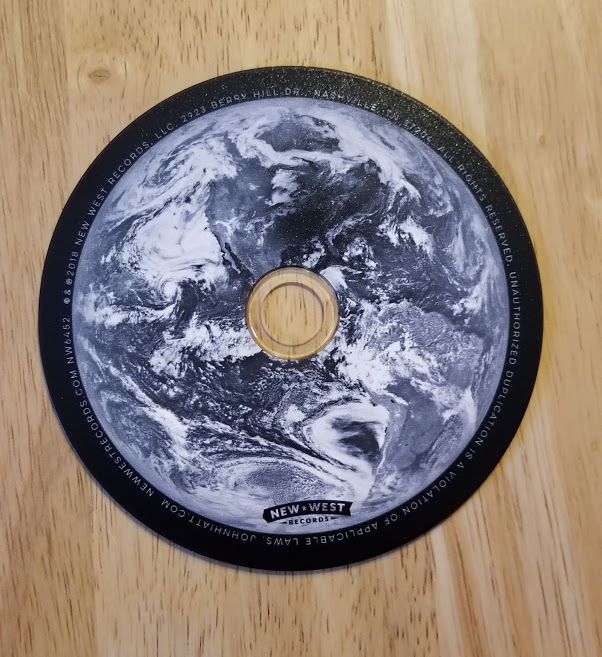 Have a shot or two of whiskey ready for “The Odds of Loving You,” a porch-stomping acoustic picker that gives this record even more diversity. 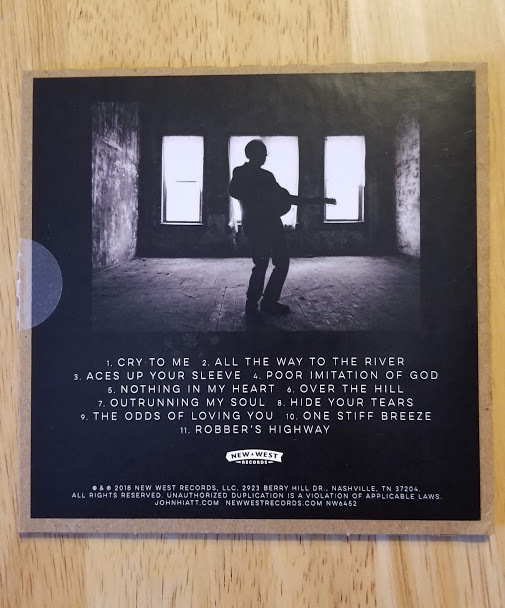 The disc closes with “Robber’s Highway,” a slow track has John’s character saying “I didn’t feel like waking up today.” It brings the album around full-circle in the way that you expect of a John Hiatt record. There’s so much in these 11 tracks, and now we get to ride off into the sunset. There are so many artists that we look at and think “I liked their old stuff better” or “Their first album was great, but it went downhill from there.” John Hiatt is one of those artists who has consistently put out amazing records, time after time, and never disappointed audiences. I very selfishly hope that he never decides to retire or hang it all up one day. I still enjoy his releases and his live shows, and as long as he keeps doing it, I will keep buying the albums and tickets. The Eclipse Sessions may be a mellower record than work he’s done in previous years, but in the show this summer, I saw little sign of him slowing down. Thank you, John, for this amazing collection of songs. Well done, Michael. And thank you.